Mamma always thought of rock pools as a lovely way to dip the toes in and check out some star fish, or maybe find a crab here or there. That was until Mamma hung out at Sorrento back beach. These rock pools are just that - pools not puddles! 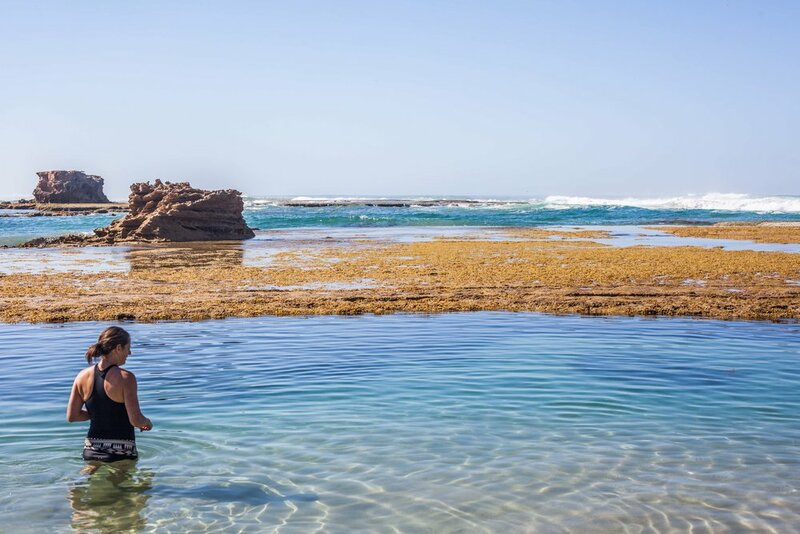 Mamma says when the tide is out on a hot summers day you can't beat these pristine rock pools for a delicious refreshing swim. They are quite deep so little ones need their floatie devices and a watchful eye. There are a few sizes - the larger one with a 'jumping' rock for the 'older types'. With the tide out there is also heaps of opportunity for fossicking around the whole area for sea treasures or just lazing away on the sand.